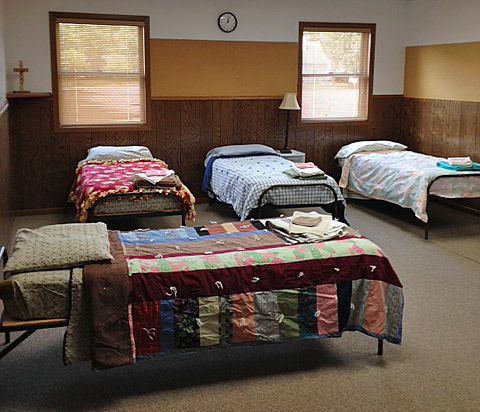 New Pathways serves homeless adults with children by partnering with local churches for evening and overnight accommodations. Families are transported to the churches in the late afternoon each day. 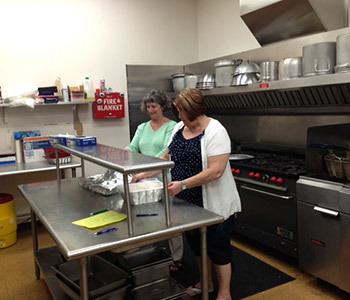 When they arrive, the families are served a warm dinner and are often joined by church volunteers. After dinner, families have free time or they can participate in an activity, if provided by the church. There is a curfew in the late evening to ensure children have quiet time for sleeping. The families remain at the church until they are picked up after breakfast the next morning.